Greenleaf Press History Guides hold a special place in our home as they are the first books which opened history up to us. Through the guides and their recommendations we began the road to learning history through living books. The Greenleaf Guide to Old Testament History is a book which outlines the history of Israel and takes you through chronological readings of the Old Testament from Genesis to Nehemiah. It is divided into 196 Bible Readings which are followed by questions. We have used this alongside our Ancient History Studies (while studying Ancient Israel - Egypt - Greece - Rome) and used it for a Bible Study devotion. It doesn't give you all the answers, but it does give you something to think about and I really appreciate it's chronological approach. It has been a very helpful resource while studying ancient times. 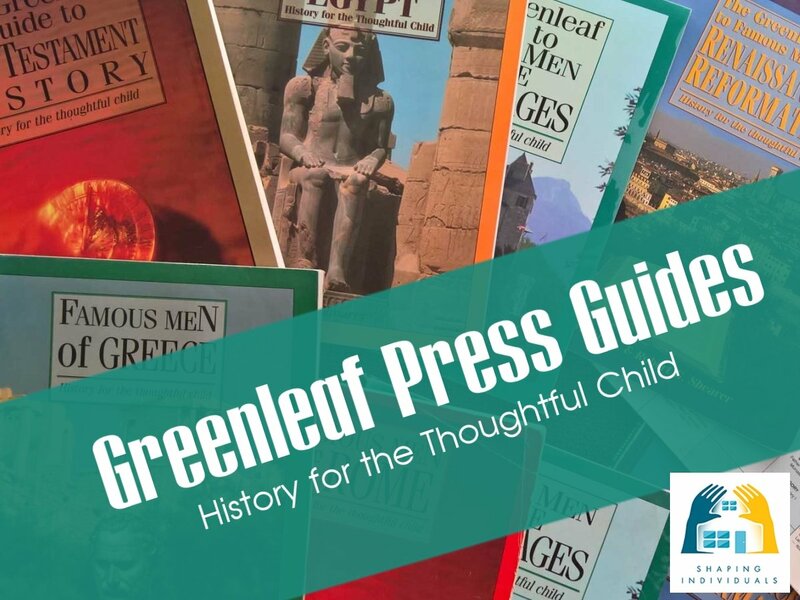 There is also a Greenleaf History Guide for Ancient Egypt and also the Greenleaf Guides to the Famous Men Books. We have enjoyed them all while studying different time periods. Organize---and enjoy---your study of the Old Testament! These 196 readings with discussion questions and teaching suggestions survey Israel's history and introduce the key figures through whose lives we can discover God's character. In this study, the Bible speaks powerfully for itself---and produces children who have a heart for God. For elementary students. 192 pages, softcover. We haven't used this guide below, however, I would be happy to recommend it, having used most of the other products on this page. Prepare your students for the challenges of modern culture by helping them understand its history. Beginning with a study of Daniel, this inductive review asks "Why should a Christian study pagan literature?" Subsequent units compare and contrast views of creation, heroism, and the nature of God in Genesis 1--11; The Epic of Gilgamesh; Homer's Odyssey; Sophocles' tragedies; and Anouilh's retelling of Antigone. For high school students. 212 reproducible pages, softcover. This biblical guide to Egyptian history was written with the goal to have students see that God is involved in all of history, and to give them a well-laid foundation for more advanced history studies. Using a number of suggested primary texts as the starting point for this curriculum, lessons are organized with the suggested readings (with nicely added notes to alert parents to pages that approach material from an evolutionary perspective, along with ideas to counteract, or just skip, it), vocabulary lists, lists of people & places, a chapter outline, discussion questions, and ideas for related interdisciplinary study. 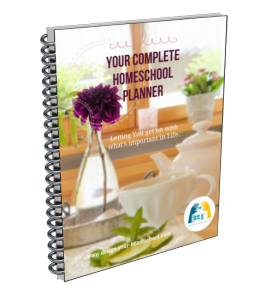 Assignment charts, games, and other forms are interspersed throughout. 46 student-reproducible pages, softcover. Elementary grades. Make This Egyptian Temple by Usborne Publishing. Just as the Bible uses the stories of the Patriarchs, Judges, Prophets, and Kings to teach us, so the Famous Men series (and the accompanying Greenleaf Guides) will be useful in teaching your children about the traits God desires and the consequences - both temporal and eternal - of the choices we make. 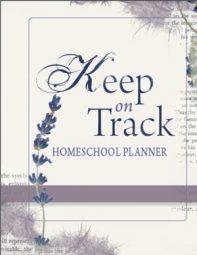 This guide includes suggested supplemental reading, activities, discussion questions, and vocabulary lists. Can be used through junior high. Just as the Bible uses the stories of the Patriarchs, Judges, Prophets, and Kings to teach us, so we hope that the Famous Men series (and the accompanying Greenleaf Guides) will be useful in teaching your children about the traits God desires and the consequences - both temporal and eternal - of the choices which they make. The stories can be read aloud to younger students, or read independently by older students, either as the focus of their study or as a supplement. Instructors will find them useful with students from second grade through junior high. Designed to be used with Greenleaf's Famous Men of the Middle Ages book (which now has 5 extra chapters), this guide features notes on additional readings in outside resources, vocabulary words, important people & places, discussion questions, summary charts to fill in, and background information when needed. 74 pages, softcover. Family-reproducible pages. Intertwine the study of literature and history for a much richer, and much more enjoyable, study. This inductive text focuses on the featured books and gives detailed reading assignments, observation questions, and discussion questions. The book is intended to guide a parent and student, teacher and student, or tutor and student as they read the important works of literature from Anglo-Saxon poetry and Beowulf to Chaucer and Hamlet. The final work studied in the guide is Rosencrantz and Guildenstern are Dead which allows the students to compare and contrast the Medieval, Renaissance, and Modern world views. The text, analysis, and discussion questions are all written from a biblical, Christian worldview. 160 pages, softcover. Accompanying the book Famous Men of the Renaissance & Reformation, this study guide features a list of readings, People & Places, Vocabulary, and Discussion questions. Maps and additional content are included where appropriate. Perfect for oral or written work! May be used with students from 2nd grade through high school. 59 pages, softcover.